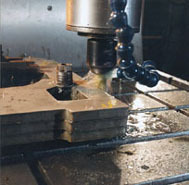 Need a special edge finished with close tolerances on rectangular plate? 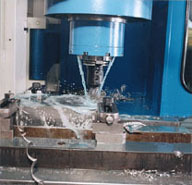 Sandmeyer can do this on our special heavy-duty milling machines. Need the same edge finishes on shapes and configurations? 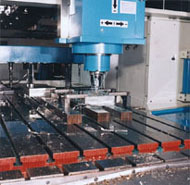 Sandmeyer can do contour milling on our sophisticated three axis, double column, vertical machining center. Edge beveling is also available.